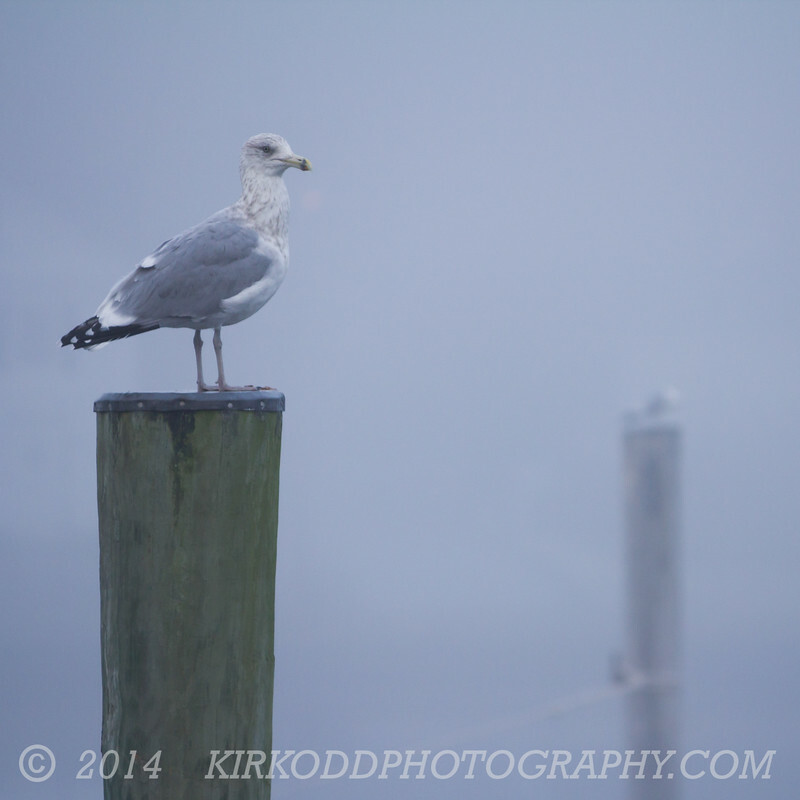 Seagulls perch on pilings on a foggy morning. This photo was from the bank of the Mystic River in Mystic, CT. This is a re-crop of the old version (thanks Marissa for the suggestions).